It's the Fourth of July, and amid our celebration of the adoption of the Declaration of Independence 241 years ago on July 4, 1776 and our glorious nation, we celebrate the red, white and blue--the colors of our flag. The red: The firecracker red flameskimmer dragonfly, Libellula saturata, a common dragonfly of the family Libellulidae, native to western North America. 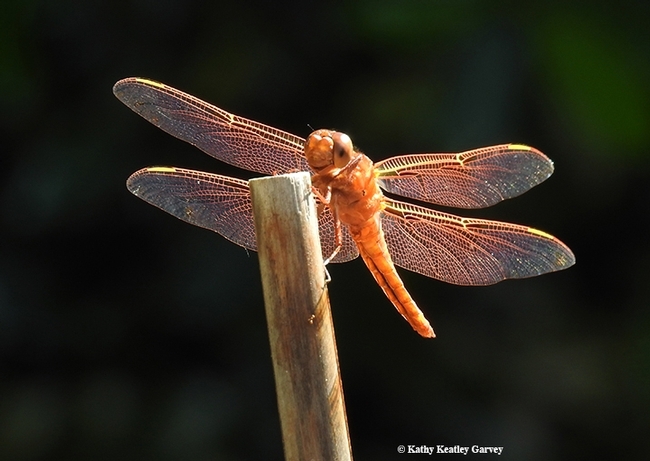 We love to see it perched on a bamboo stake in our pollinator garden. 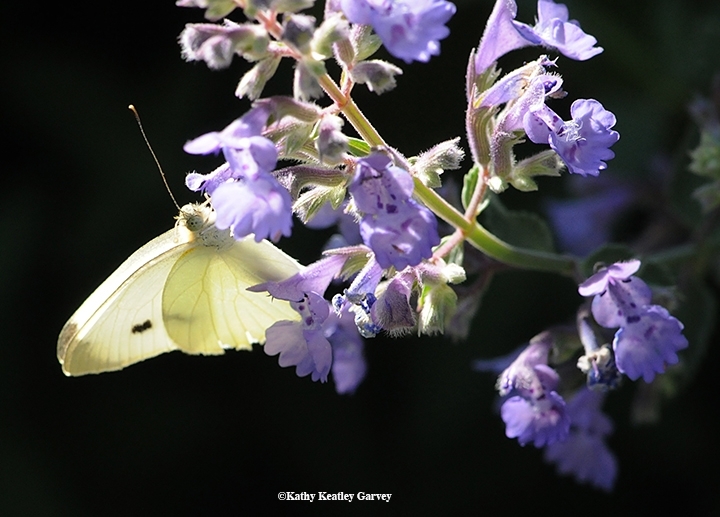 The white: The delicate, petticoated cabbage white butterfly, Pieris rapae, common throughout much of the world, including North and South America, Europe, Great Britain, Asia, Australia and New Zealand. Beauty? Yes. It absolutely glows in the late afternoon sun. Beast? Yes. The caterpillar or larva is a serious pest of our cole crops, including cabbage, kale and mustard. The blue: The blue spots in the tail of the Western tiger swallowtail, Papilio rutulus, a common swallowtail butterfly of North America. Its range stretches from much of North America, from British Columbia to North Dakota in the north to Baja California and New Mexico in the south, according to Wikipedia. 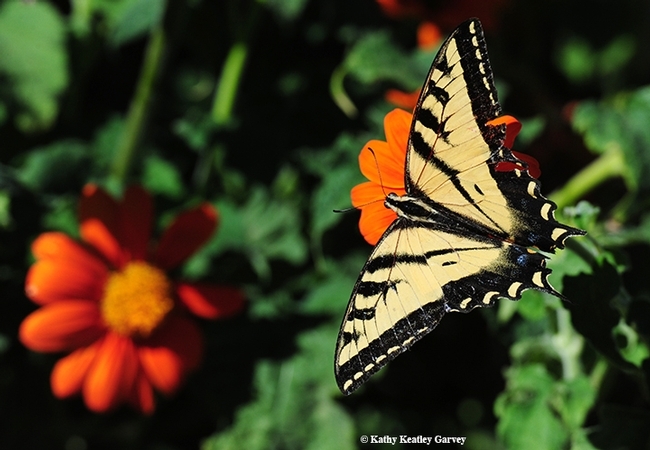 We've never been able to capture an image of a flameskimmer, cabbage white butterfly or Western tiger swallowtail in the same photo, but they don't need to be. Individually, their colors are strong and independent, just like our forefathers who signed the Declaration of Independence 241 years ago.